Dividend stocks are great options for retirees’ portfolios: The best ones offer the reliability of a quarterly payment coupled with the stability of a sound business model that can support — and hopefully grow — those payments. We asked three of our investors to scour the stock market and bring us back their recommendations for the best dividend stocks for retirees’ portfolios now. They came back with three companies from a diverse array of sectors. You’ve likely heard new-vehicle sales in the U.S. are currently plateauing, which makes it difficult to sell a near-term growth story for automakers. Nonetheless, the auto industry has trends that could provide strong growth for Goodyear despite the company’s being sold off with the rest of the industry — it currently trades at a paltry forward P/E of 6.6, per Morningstar estimates. Total sales are plateauing, but the sales mix is wildly shifting in favor of larger vehicles such as SUVs, crossovers, and pickup trucks. That means more larger tires on the road, and that means better margins for Goodyear. In 2009, light trucks were 45% of the U.S. new vehicle market; that exploded in the years since to 68% during the first quarter of 2018. Further, LMC Automotive predicts light trucks will generate roughly 73% of the market as soon as 2022. A sales mix in the Americas with such a large percentage of light trucks is one growth catalyst for Goodyear, but there’s a long-term catalyst as well: driverless vehicles. Consider that by 2030, 25% of global miles traveled will be shared, according to The Boston Consulting Group, and the autonomous market will be a $7 trillion business by 2050, according to an Intel report. As the market shifts to fleet ownership, rather than individual consumers, Goodyear could leverage its physical-store tire services to sign partnerships with fleet owners, which could become a lucrative business. Granted, the driverless-car future is an uncertain one, but one thing is certain: Tires, and other products associated with driverless cars, will become much more complex. That means growth — long-term growth — for Goodyear if it can leverage its distribution network, innovative tires, and service bays to carve out its place in the market. When we think about businesses that make Fortune’s most admired companies list, we usually don’t consider the mining industry. Yet Newmont Mining Corp (NYSE:NEM) impressively made the list this year. Only a handful of companies within the sector joined NEM in this rare honor. The question, though, is whether it will matter to potential investors. While I doubt anyone’s going to buy NEM based on this distinction, it helps to draw attention to what management is doing right. For starters, company executives are optimistic about their chances in 2018, raising their gold production guidance. Second, I appreciate that the optimism is translating to relative stability in the markets. NEM stock is up 4.6% YTD, and compared to its rivals, Newmont has held up well. Aside from some soft patches in February and March, NEM hasn’t given shareholders reason to panic. With an improving gold sector, and a potential seasonality boost, I’m confident that Newmont will at least meet expectations. Ideally, I’d like to see a little bit more discipline in cost efficiencies, which would help return them to profitability. However, they’re growing their top line, and reducing their long-term liabilities. Overall, I like what I’m seeing. NEM is easily one of the more intriguing gold stocks to buy! Another burgeoning cryptocurrency mining stock that isn’t exactly keen on divulging the percentage of its sales tied to mining is Taiwan Semiconductor Manufacturing Company(NYSE:TSM). Last week, TSMC reported strong first-quarter operating results that included a 6% increase in sales from the prior-year period, as well as its single-best sales month in history in March ($3.5 billion). C.C. Wei, TSMC’s president and co-CEO, specifically said that "these results were mainly driven by strong demand from high performance computing such as cryptocurrency mining." In addition, Coindesk notes that Chinese mining hardware maker Bitmain, a client of TSMC, unveiled its next-generation, ASIC (application-specific integrated circuit)-based, Ethereum mining equipment called Antminer E3 in early April. The unit, which has a list price of $800, is set to ship in July. Bitmain’s need for ASIC chips to satisfy demand for Antminer E3 may very well be the reason TSMC experienced a surge in sales during March and in Q1 as a whole. However, the downdraft in bitcoin and other crypto token prices in 2018 has certainly cast a shadow on industry demand moving forward. Having previously forecast sales growth of 10% to 15% in 2018, TSMC also lowered its sales growth expectations to 10% for the current year on uncertainty in the crypto mining space. Like NVIDIA and AMD, TSMC’s share price may be adversely impacted if cryptocurrency prices continue to sink. With eight $1 billion-plus franchises in its enviable portfolio — think wildly popular titles like Call of Duty, Overwatch, Destiny, and World of Warcraft — it’s no mystery that Activision Blizzard is a leader in the burgeoning video game space. Activision also enjoys a commanding lead in the mobile gaming market through its $5.9 billion acquisition of Candy Crush-maker King Digital in late 2015. And it doesn’t just make money from the initial sale of its games. Many of its titles enjoy a fervent base of paying monthly subscribers, and in-game content sales exceeded $1 billion last quarteralone. That’s not to mention the promise of management’s plans to implement more in-game advertising to generate incremental revenue. What’s more, with the launch of its new Overwatch League earlier this year, Activision is poised to benefit from the unstoppable rise of esports. 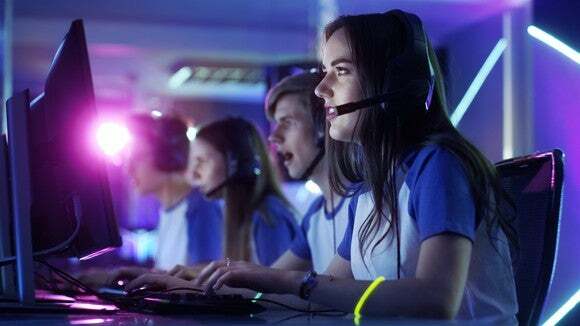 According to SuperData Research, the esports market is expected to attract nearly 300 million unique viewers this year, and should exceed $2 billion in revenue by 2021. With the stock trading around 15% below its 52-week high amid a broader pullback in tech stocks in recent weeks, I think now is a great time to open or add to a position in Activision Blizzard. With a 9.3% yield at recent prices following the 31% decline in its stock price over the past year, independent renewable-energy producer Pattern Energy looks like a yield trap on the surface. And it seems blatantly obvious why investors have sold out of the stock recently, when you consider two factors. First, changes to tax equity investing rules in the U.S. have already started to hurt funding for new projects; second, rising interest rates could affect Pattern Energy’s access to capital. But my analysis leads me to a very different conclusion: Now is an excellent time to buy Pattern, and I think the company is going to be able to maintain its payout in the near term, and start increasing it again within a few years. Pattern generates sufficient cash flow — measured as cash available for distribution (CADF) — to maintain its dividend. And it operates in Canada, Japan, and South America, as well as the U.S., dampening the impact of tax law changes. Furthermore, CEO Mike Garland said Pattern "… is in an excellent position to make further acquisitions without raising any common equity, allowing us to grow our CAFD per share." With other sources of capital at its disposal, this alleviates one of the risks that would have led to a dividend cut: selling shares of its own stock. Don’t get me wrong. This isn’t a zero-risk investment, and it shouldn’t be counted on for income you can’t live without. But if you can stomach a small amount of risk that the payout might be cut, the opportunity to capture a very high yield is worth it, in my book. Add in the long-term growth prospects as renewable energy takes more share from fossil fuels, and Pattern is an excellent investment for retirement savers. This entry was posted in Best Stocks and tagged ATVI, GT, NEM, PEGI, TSM on June 27, 2018 by admin. Since going public in mid-2015, e-commerce platform developer Shopify (NYSE:SHOP) has nearly quintupled in value, for around a 60% annual compounded growth rate. Of course, predicting those kinds of returns is impossible, but Shopify’s business model represents a unique opportunity that hit the market at just the right time. Yet Shopify isn’t the only business with compelling arguments in its favor. We asked three of our Motley Fool investors for growth stocks that they like that have the potential to post returns that would put Shopify’s own to shame. Dine Brands Global Inc (NYSE:DIN) owns or franchises more than 1,900 Applebee’s and nearly 1,800 International House of Pancakes (IHOP) restaurants throughout the country. The full-service casual dining industry has come under pressure in recent years. More consumers are opting for quick-service restaurants, which typically offer lower prices, better food quality and shorter waits to support an on-the-go lifestyle. 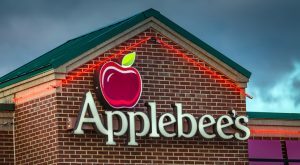 Dine Brands Global saw its adjusted earnings per share decline by more than 30% in fiscal 2017, driven largely by a 5.3% decline in Applebee’s comparable same-restaurant sales. This pressure ultimately caused the company to lower its dividend by 35% in February 2018 to free up cash for brand investments and support its stretched balance sheet. Simply Safe Dividends had issued the company a Dividend Safety Score of 4 prior to the dividend cut announcement, signaling that the firm’s payout was potentially very unsafe. While the new dividend amount appears to be more sustainable for now, the business remains under press. The stock’s new yield sits close to 3.6%, which isn’t very competitive with other income options given the payout’s weak growth potential going forward. Alphabet announced that it is fixing a latency issue that Google Home Max owners have been dealing with. The tech giant announced that the smart home device will be receiving a performance update to ameliorate an audio latency issues by the end of the month, according to a report from The Next Web. As things stand, when you play something through a speaker via Google Home Max’s 3.5mm port such as a record player, there’s a lag. This can be problematic when hooking up the device to a TV source, as the sound is sometimes out of sync with the picture. Alphabet says the new update will fix this as it will reduce in-line delay from 550 to 39 milliseconds, which is a latency reduction of about 93%. GOOGL stock gained 1.5% during regular trading hours but was flat after the bell, while GOOG shares gained 1.4% and fell 0.2% after hours. Activision Blizzard is well known for being a PC and console game company with games like Call of Duty and World of Warcraft. But I think the company is set up for long-term success because of its willingness to adapt to digital sales and early exploitation of esports. The company generated $7.02 billion in revenue last year and $2.21 per share in non-GAAP earnings in large part because of $5.43 billion of bookings from digital channels and we’re only now beginning to see the potential of esports. DATA SOURCE: ATVI REVENUE (TTM) DATA BY YCHARTS. What I want to highlight here is the power of esports in growing beyond the current gaming model. The Overwatch League is a model esports league with team owners like Robert Kraft (New England Patriots) and Stan Kroenke (Los Angeles Rams) and multi-million dollar advertising deals. If esports continues to grow and attract more viewers than NFL games, this could be a booming business long-term. Twitch TV has already agreed to a reported $90 million two-year deal to show Overwatch League on its streaming platform and advertising deals with HPand Intel are both reportedly worth $10 million-plus over a two-year period. The beauty of esports is that Overwatch League may be just the beginning. Activision Blizzard can replicate the success of one league with new games, effectively creating multiple sports leagues that it owns. Between the organic growth in existing console, PC, and mobile platforms and the growth potential in esports, Activision Blizzard has a bright future for long-term investors. Frontier Communications Corp (NASDAQ:FTR) finally bit the bullet and completely suspended its dividend in February 2018. The company had a Dividend Safety Score of 1, signaling a very unsafe payout, from Simply Safe Dividends before its cut announcement was made. Frontier has reported a net loss the last two fiscal years and is saddled with debt, in part due to its poor decision to acquire some of Verizon’s fiber assets in 2016 for $10 billion. The firm’s weak financial position has made it very challenging for it to make the investments in its communications networks that are necessary to remain competitive. When combined with Frontier’s large debt load, sizable dividend and ongoing customer losses, management’s decision to eliminate the payout isn’t a big surprise. This entry was posted in Top Stocks and tagged ATVI, DIN, FTR, GOOG on June 25, 2018 by admin. With the new inflation numbers coming in under expectations, that’s a bullish sign that the Federal Reserve won’t be adding more hikes to interest rates, at least for now. Slower inflation is a good sign since it means that the transition from a cool economy to a hot one isn’t happening too quickly. It’s transitioning over time, and that’s bullish for consumer stocks since a fast rise in prices means consumers will slow spending or choose value brands over name brands. As 2018 started, it looked like the economy was heading down the first drop on a roller coaster, gather enormous speed from nearly a dead start. That hurt some stocks as the markets worried that inflation would hit hard and fast, hurting the consumer’s spending power in the process. Now that this scenario isn’t coming to pass, I wanted to highlight seven consumer goods stocks that will rise again. ATVI is the ticker symbol. Activision Blizzard is, for me anyway, the worldwide leader. There’s some good competition [Electronic Arts and others] in interactive entertainment. Now, the company’s not as dominant in China as some very large Chinese companies, so you and I could debate who the real worldwide leader is. The good news is with a stock like NetEase, which is a big Chinese video game maker and one of those conglomerates, we own that one, too. I like to think that we’ve got this industry cornered, but I love the future of interactive entertainment, whether it’s playing digital card games like Hearthstone, which I do almost every day, even though it’s in its fourth or fifth year. I love Hearthstone to great games like Overwatch, which has been a huge hit and is the big e-sport of choice with clubs these days. You might be following the The Overwatch League, some of you. Cities in the U.S. and abroad paying tens of millions of dollars to have the rights to have a team that’s competing in Overwatch. So, e-sports is a big part of Activision Blizzard. Starcraft. Warcraft. World of Warcraft. The list goes on of this company’s properties. Love Activision Blizzard. Bobby Kotick, the CEO. I’ve talked about him before on this show. He’s a brilliant asset allocator. He’s not even a video gamer. He also, by the way, had a cameo appearance in one of my favorite films, Moneyball, when Bill James’s great story and Michael Lewis’s non-fiction book was turned into a movie with Brad Pitt. You’ll see Bobby Kotick playing the owner of the Oakland A’s in an early scene in that movie. A little trivia tip for Activision Blizzard fans. Centene Corp (NYSE:CNC) operates as a diversified and multi-national healthcare enterprise that provides programs and services to under-insured and uninsured individuals in the United States. The company’s total revenue stands at $48.3 billion as of its latest fiscal year. This is nearly 5x higher than the $8.1 billion achieved five years prior. Going forward, analysts are forecasting that Centene’s total revenue will reach $87.9 billion by fiscal year 2022 representing a five-year CAGR of 12.7%. Shares of the company are trading 54.2% higher year over year. But the stock price could end up trading another 31.6% higher in 2018 based on Centene’s future cash flow projections. It’s worth noting that highly followed portfolio manager David Tepper currently holds a position in Centene worth $76.5 million. Tepper, founder and portfolio manager at Appaloosa Management, is widely known for having inspired what’s been dubbed the Tepper Rally of 2010. ARMO BioSciences stock skyrocketed 78% this week. The biotech announced on Thursday that it was being acquired by Eli Lilly (NYSE:LLY) for $1.6 billion. What’s especially notable about this acquisition is that ARMO conducted its initial public offering (IPO) less than four months ago. What made ARMO so attractive to Lilly? The small biotech’s lead product candidate, AM0010, also known as pegilodecakin. AM0010 a long-acting form of recombinant human Interleukin 10 (IL-10) that stimulates white blood cells called CD8+ T cells. These T cells recognize and kill cancer cells. The drug is currently being evaluated in a phase 3 study for treating pancreatic cancer and in earlier-stage studies targeting other types of cancer. Lilly saw AM0010 as a great addition to its current oncology lineup, which includes Cyramza, Verzenio, and three pipeline candidates in phase 2 clinical studies. The acquisition is expected to close by the end of the second quarter. Adobe has been selling software used to create digital content for nearly four decades, so you’d be forgiven for assuming that this company has morphed into a slow-moving giant. Amazingly, that’s not the case at all. Adobe posted revenue and adjusted EPS growth of 24% and 65%, respectively, last quarter. Those spectacular results weren’t a one-off fluke, either; the company has been a growing like a weed ever since CEO Shantanu Narayen made the bold decision a few years back to transition to a cloud-based business model. While the transition was met with harsh criticism when it was announced it has paid off brilliantly for long-term investors. Adobe’s stock has steadily marched higher since 2013, including a 70% jump in 2017 alone. All told, shareholders have enjoyed a 417% jump in the last five years. But can the good times continue? I believe that the answer is yes. Adobe’s software lineup is led by design necessities like Photoshop, Illustrator, and InDesign, and their continued popularity drove the company’s Digital Media segment to 28% growth in the first quarter. Even better, these products are typically sold through the cloud on a subscription basis, which means consistent and steady income. Adobe makes 86% of its revenue through subscriptions (a figure that’s still growing), and subscription-based revenue increased 30% in the first quarter. Selling products this way also gives Adobe a better look into how its customers are using the software, which means a better experience over time. Meanwhile, the company is also plowing its R&D dollars to build out its presence in fast-growing areas such as virtual reality and digital advertising. When combined, market watchers believe that sustained double-digit revenue and profit growth is achievable. I happily concur with that assessment. The only downside here is that the tremendous run has pushed the company’s valuation up so high that shares currently trade for more than 30 times next year’s earnings estimates. While that might seem like too high of a price to pay I don’t think its outrageous given the company’s projected profit growth rate of 26% over the next five years. 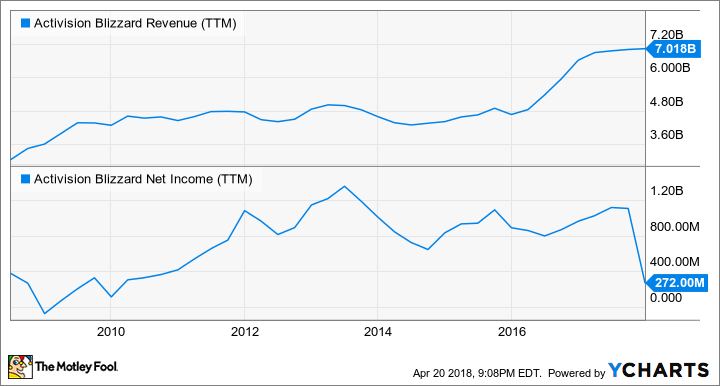 Mix in a cash-heavy balance sheet and a dominant competitive position and I think that Adobe is a fantastic business that is currently trading at a fair price. If you haven’t bought shares yet, consider it today. Shares of Best Buy are up 55% over the last year and have also climbed 7.4% in the last four weeks. The big-box electronics retailer is expected to see its Q1 revenues pop by 2.8% to hit $8.77 billion, based on our Zacks Consensus Estimates. Meanwhile, Best Buy’s earnings are projected to surge by 25% to touch $0.75 per share. Best Buy’s Most Accurate Estimate—the representation of the most recent analyst sentiment—calls for quarterly earnings of $0.76 per share, which is 1 cent better than our current consensus estimate. The company is also currently a Zacks Rank #2 (Buy) and sports an Earnings ESP of 2.01%. Therefore, investors can consider BBY as a stock that could top quarterly earnings estimates when it reports its Q1 financial results before the market opens on Thursday, May 24. This entry was posted in Tech Stocks and tagged ADBE, ARMO, ATVI, BBY, CNC on June 24, 2018 by admin.